Hold on to the edge of your seat; although Instagram — as well as other social media platforms — has always been touted as the sole territory of millennials, according to the Manager of Marketing and Distribution at Ruby Hotels, Tobias Köhler, this is no longer necessarily the case. "Instagram is constantly growing, just like Facebook was and still is. The social media landscape is constantly shifting with new apps and platforms arising," he says, "The demographic at Instagram may have started out younger, however more and more people (and companies) are catching up." 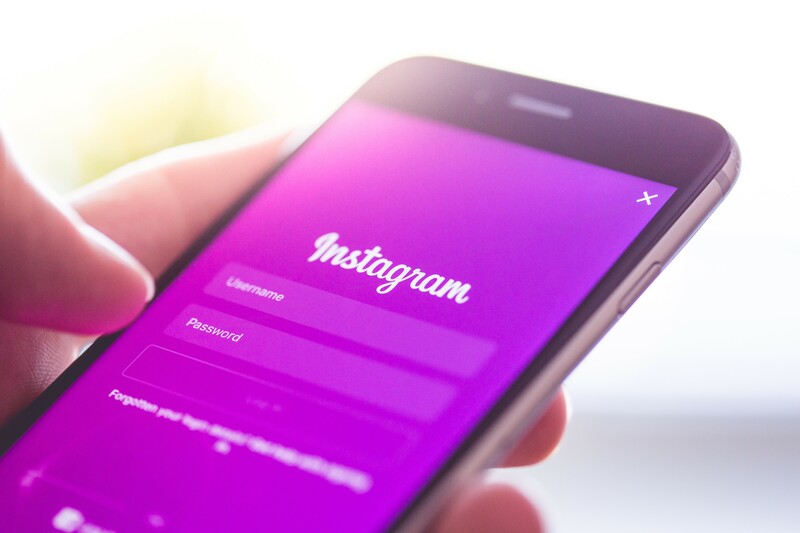 According to December 2015 Statistica figures, the largest groups of Instagram users were 25-34 year-olds (25.6%), followed by 18-24 year-olds (22.9%), however 35-44 year-olds weren't far behind at 19.4%, with 45-54 year-olds only a little behind them (15.5%). Even 55-64 year-olds and those over 65 had reasonable representation (11.1% and 5.5% respectively). Köhler says this shift means that, depending on the strategies you use (hashtags, check-ins as well as the photos you like or Instagrammers you follow), hotels now have access to a broad variety of people; some who they might not have been able to reach before. "There’s a lot of restriction at Facebook for companies and their pages, which disappear on Instagram," he says. Not only are the demographics starting to shift, but people Instagram for various reasons. As it relates to hotels and the four phases of the customer journey (dream, plan and book, stay and return), according to Köhler and CMO of Curalate, Matt Langie, two predominate: the dream and the stay phase. 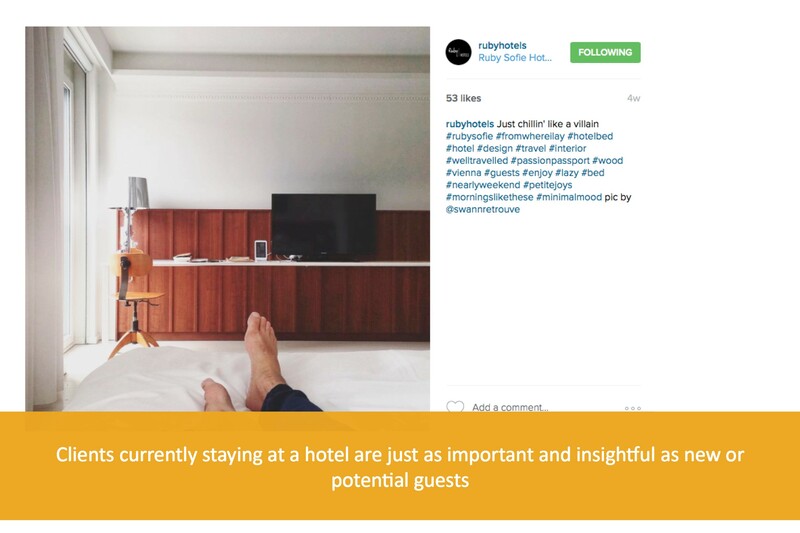 As a visual platform, Instagram is inspirational, which means that hotels can capture a potential guest's attention by using compelling and authentic imagery. "[Hotels] can harness user-generated images from travelers who have enjoyed their experiences with the brand, and share them across social channels, emails, microsites, ads, and any other marketing touchpoints to help potential travelers get inspired," says Langie. 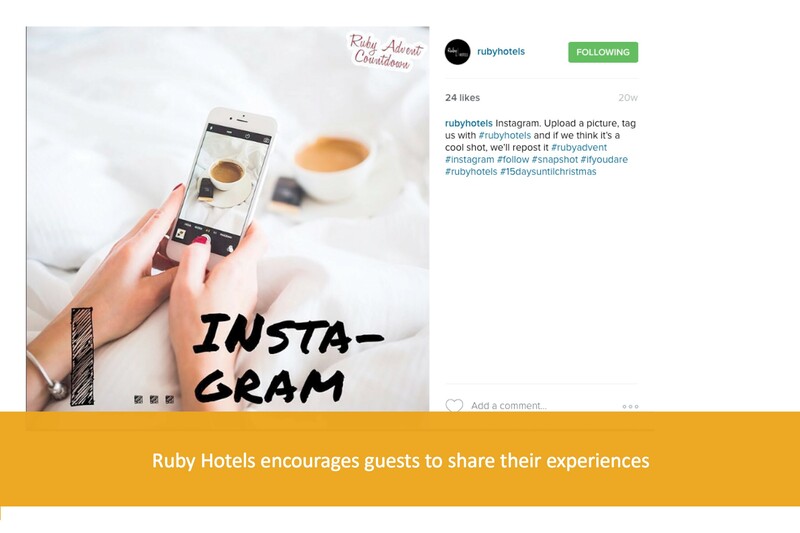 Instagram also has the power to build a relationship and engage guests who are staying at the hotel. During their visit, guests can interact by taking pictures and commenting on events as they happen. "It is always important to try and reach the current as well as new potential guests," Köhler says, adding that while Instagram is great for finding new things or people, reaching out to them and promoting the Ruby Hotels brand, there is much to be learned from guests during the stay phase as well. 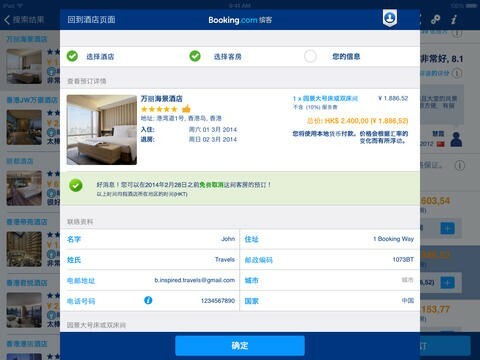 "Through Instagram we can also monitor what is happening at the hotel right now, through pictures that our guests post, tagging us or the location," he says. An old favourite, of course, are hashtags. Creating a dedicated hashtag for a hotel (or event, hotel restaurant, and so on) creates a doorway to instant communication and promotion. These can be used to encourage guests to interact with the hotel and not only build a collection of authentic, organic and guest-driven images, but also communication and a sense of the hotel's character and brand. "Airbnb, Walt Disney World and Conrad Hotels & Resorts are among the travel brands that take this [hashtag] approach," says Langie. 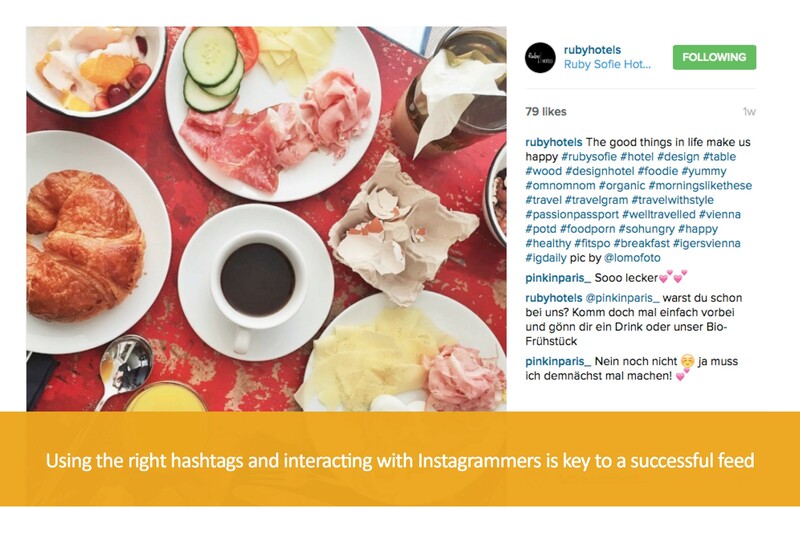 Köhler agrees that using the right hashtags is key to a successful Instagram feed, noting that images with hashtags which promote experiences and are personally interesting to guests lead to an increase in social media activity. "A picture of a hallway is less successful than a picture of a drink at our bar. We try to use a picture where the viewer can picture himself in the photo – like “this could be your drink next Friday night”," he says. 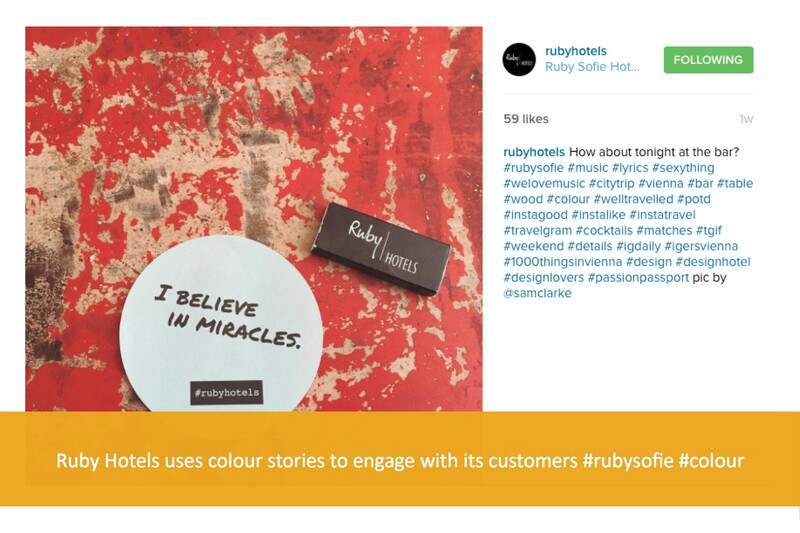 Aside from hashtags, a strategy that has worked for Ruby Hotels focuses on interactive colour stories. "We concentrate on reposting our guests photos of the hotel, taking a certain color-coordination into account and interacting more with Instagrammers," Köhler explains, "This is definitely working for us and the Instagrammers are enjoying a more proactive account. [We've] definitely noticed a surge in followers and likes." A key element to the success of this approach is energetic and timely engagement. Guests like to feel acknowledged and appreciated for taking the time to create and share images. Sometimes guests need a little encouragement to get interactive — or simply need to know where and how they can share their experience. A crucial part of any Instagram — and social media — strategy is to ensure that guests know how they can best share their experience. Furthermore, encouraging event or location-specific interaction can work to not only lead to online engagement, but also to the sly promotion of products, services or happenings while building rapport. What makes a successful Instagram image? What does a guest look for in a picture? 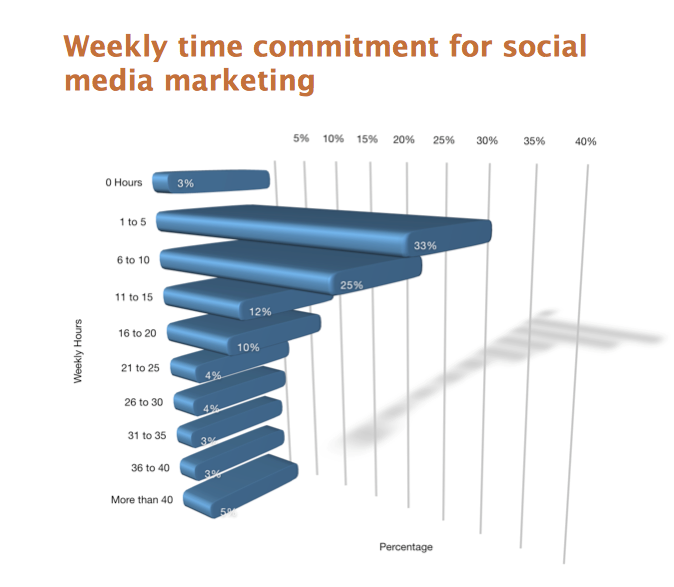 How much time does it take to keep a social media presence going? What is Instagram: a conversion tool, a branding tool or something else entirely? What makes a successful Instagram image?